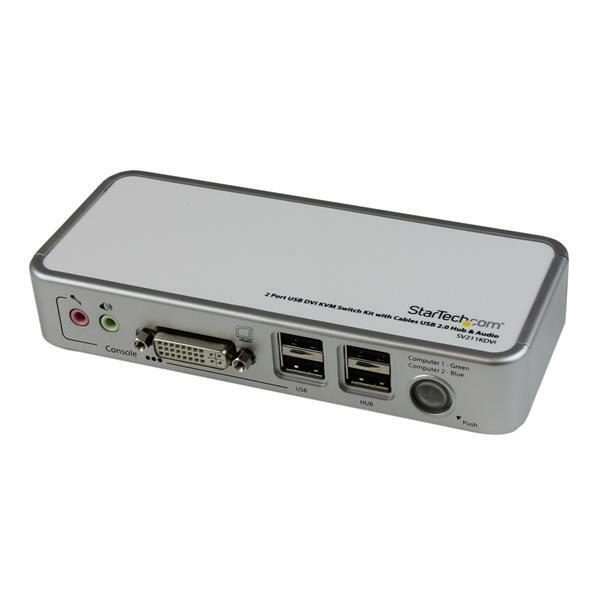 The SV211KDVI 2 Port USB DVI KVM Switch Kit with Cables USB 2.0 Hub & Audio provides control of two DVI enabled, USB controlled computers, as well as independent audio/microphone switching for uninterrupted audio when switching between PCs. 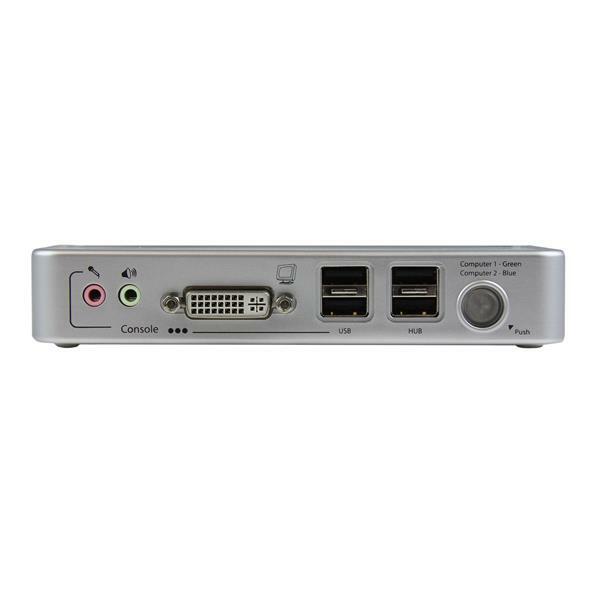 This USB+DVI KVM Switch features support for high-resolution digital (1920x1200) and analog (2048x1536) video, plus an integrated USB 2.0 hub that allows you to share 2 high-speed USB devices between computers. 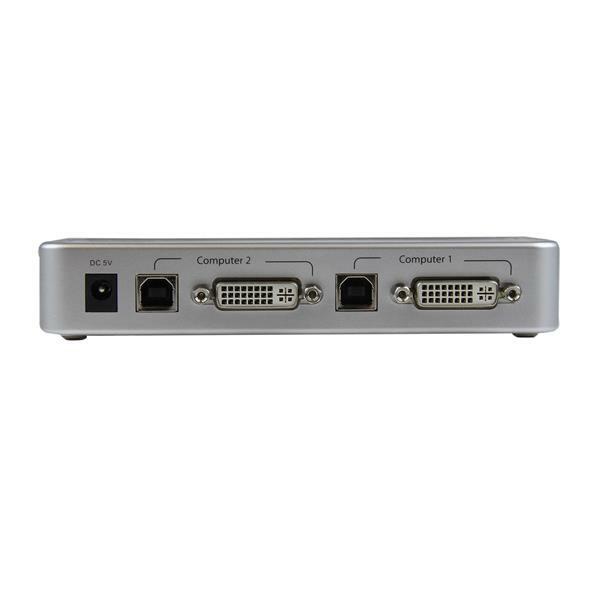 Compatible with Mac, Linux and Windows® based computers, this compact DVI KVM is a great space-saving solution for a broad range of environments including SOHO (Small or Home Offices), gaming, multimedia production and more. 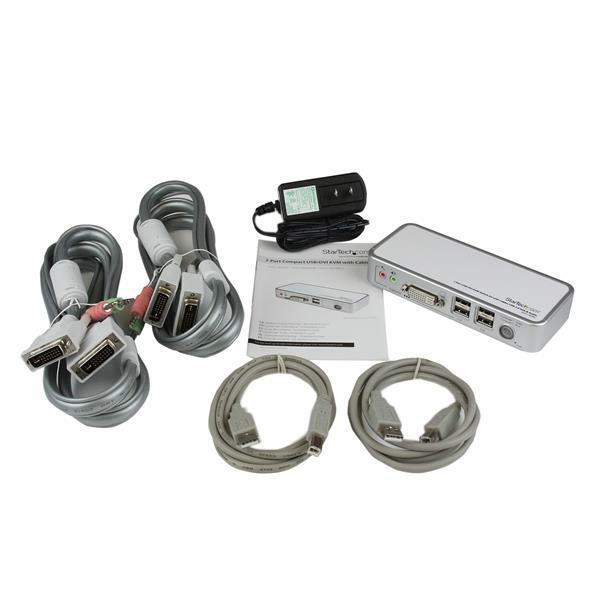 A complete, out-of-the-box solution, this DVI KVM Switch includes two 4 ft. DVI/Audio & Mic combo cables that simplify computer connection to the switch and help to eliminate cable clutter.